Jim and Beth had an amazing 2013. They both started new jobs, got pregnant and moved into their new home! Nothing though could prepare them for 2014 and just how much love and joy one little girl could bring. This bassinet was Jim’s when he was Campbell’s size. I love being able to document peoples lives. Capturing the events that are taking place in their lives at that moment in time, whatever it may be. For Beth and Jim their story right now is full of cuddles, diaper changing, bottle making and just hanging out at home. Love that I caught this sweet moment. Wide awake and checkin’ out the world. Chrissy - Love these all so much!!!! Lifestyle newborn sessions are the best!! Kate Borgelt - Jesssica! These are perfection! Seriously… so amazing. And captures those first sweet days. Sigh. That second image gave me chills… love. These will be treasured always. HIGH FIVE! Awesome! AWESOME job. Love your work!!! Rachel - These are stunning!!! The colors are perfect, and I love all of the little moments you caught! Beautiful session! Abbey - Ok, almost teared up at the ones of dad making the bottle and feeding baby! Sheer genius to keep shooting during feeding time! Would love to have photos like this of my hubby and little one! shannon - my goodness, these are sweet as can be. i love love real life/glimpse into their world type photos. these are an absolute treasure! Nicki - These are beautiful photos! You captured so many genuine moments of this super sweet family. Awesome job! Christine - Wow, these are so gorgeous. Everything about them is just perfection. maike rinaye - These are beautiful! And that blue wall, man oh man, I so want to know what color paint that is! I love the black and white of her with her bottle… her tiny eyelashes are adorable.. Fabulous job! Wilbur - How beautiful. I love babies… Such a lovely home and lovely family. Brooke - Oh man, these are so beautiful! We have a little girl who is 7 months old and I wished we would have gotten newborn pictures taken. So many sweet moments that this family will be able to look back on and cherish forever. I love how relaxed they look in their home. Keep up the amazing work! Erin Evangeline - LOVE the newborn photo sessions at home! So natural, such great mementos of this time in life. You captured their cuddlie love so well! Katie D. - oh my goodness!!!!!!!!!!!!!!! I LOVE LOVE LOVE this session! Those little feet, the natural setting of their home… i just cant stop saying awwwwwwwwwwwwwwwwwwwwwwwww. Love! Julina - What a beautiful and intimate look at such a adorable family! Love your perspective! 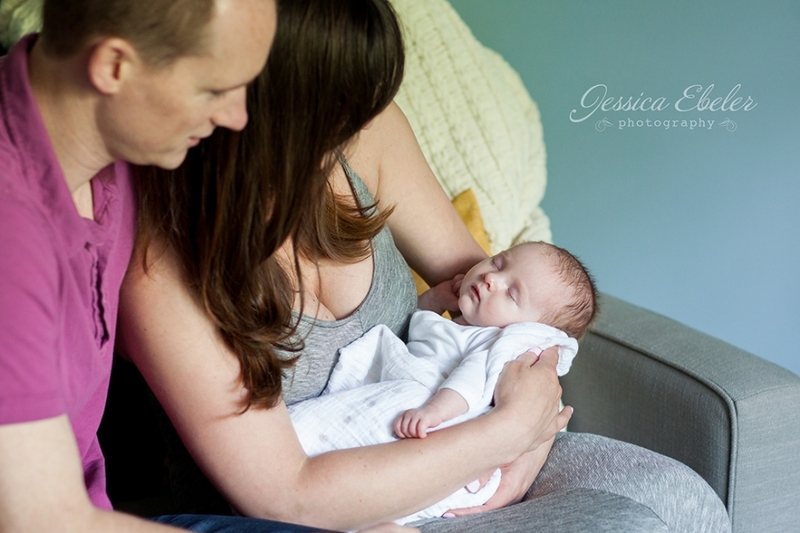 Bobbi - The best newborn sessions happen at home… you NAILED this entire session Jessica… fo’real. Love to you friend… LOVE TO YOUUUU!!! Tsone - The photo of them by the window is AMAZING!!! Micah - I LOVE newborn lifestyle sessions in the family’s home!! You nailed this one! The black and white of little one stretching is MONEY! Great job! Jacqie - Whoa! You blew this one away. Perfect session. Serious high fives! Megan - Ahhhhh. Dreamy. These are beautiful. I love in home newborn sessions. 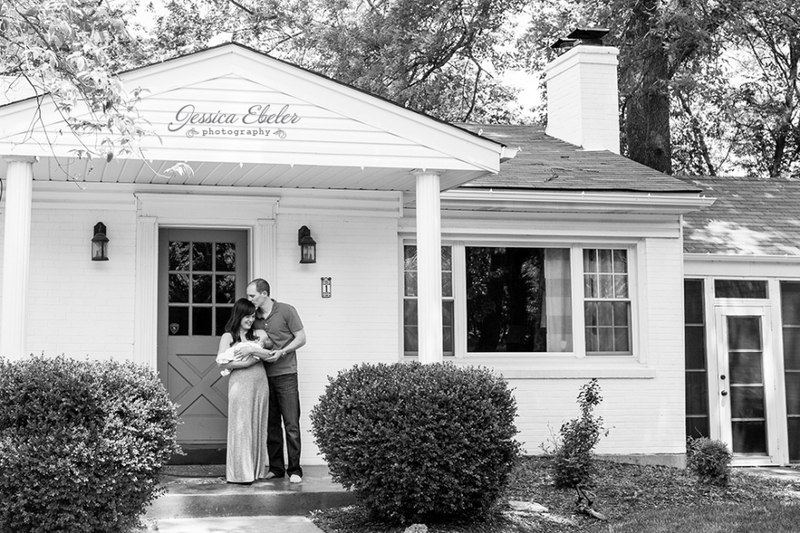 Love the name, love the bassinet, love these photos. Melissa Yocum - Beautiful job! LOVE that b&w of their daughter sleeping, and their paint colors are gorgeous! LOVE all of the photos with mom and dad cuddling their baby girl too! Beth Kerley - Love all the sweet comments about your amazing work on our photo session. Thank you again! These photos will be cherished forever and we’ll be calling you for 6-month and 12-month sessions too PS the wall color is Benjamin Moore Van Courtland Blue. We literally saw it on the wall at a local restaurant, got the name from the manager and put it on the wall a few weeks later! We love it! Karen - Campbell is an Angel! Love the colors and sweet styling of this shoot! She is so precious! Kate Borgelt - You are sooo good! That one of them all reaching in to change the diaper is beyond perfect! So much talent… they are so lucky to have you capture these days!! WOW!